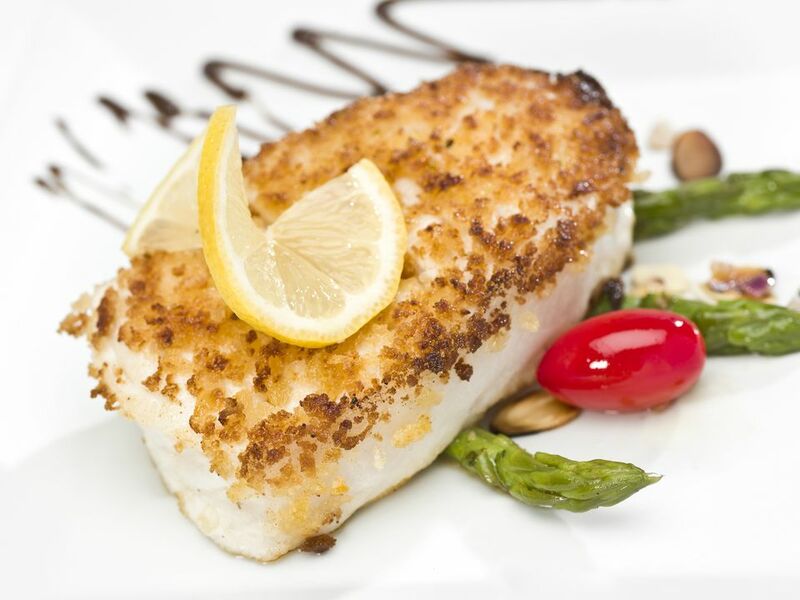 Halibut is a sweet-tasting fish that is high in protein, B vitamins and omega-3 fatty acids. The potato chip-crust makes this baked halibut recipe especially appealing to kids. Green beans with browned butter and butternut squash fries make nice accompaniments for this halibut recipe. Preheat oven to 400 degrees F. Spray a 2- or 3-quart baking dish with cooking spray. Whisk together the mayonnaise and mustard. Season with salt and pepper to taste. Brush the mayonnaise-mustard mixture over both sides of the halibut. Spread the potato chip crumbs out in a shallow dish or on a plate. Dip both sides of the halibut in the potato chip crumbs. Place in the prepared baking dish. Bake 18-22 minutes, until fish flakes easily with a fork.